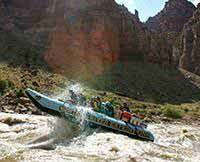 An unforgettable, hands-on expedition of 100 beautiful miles of the Colorado River in Cataract Canyon. 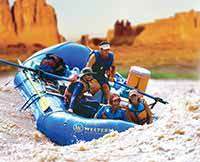 We experienced it's 30 exhilarating rapids, hiking trails, descriptions by the Western River guides of the geology and the legacy of what was the home to the Ute Native Americans. 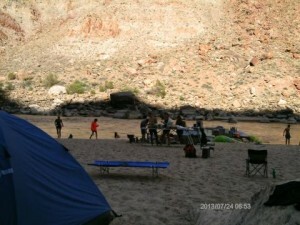 We had fantastic meals, we camped, we went swimming and relaxed; and enjoying it all with about three dozen strangers who became friends before the first nightfall! From experienced rafters to city slickers, this trip was fabulous. We were sad it had to end.